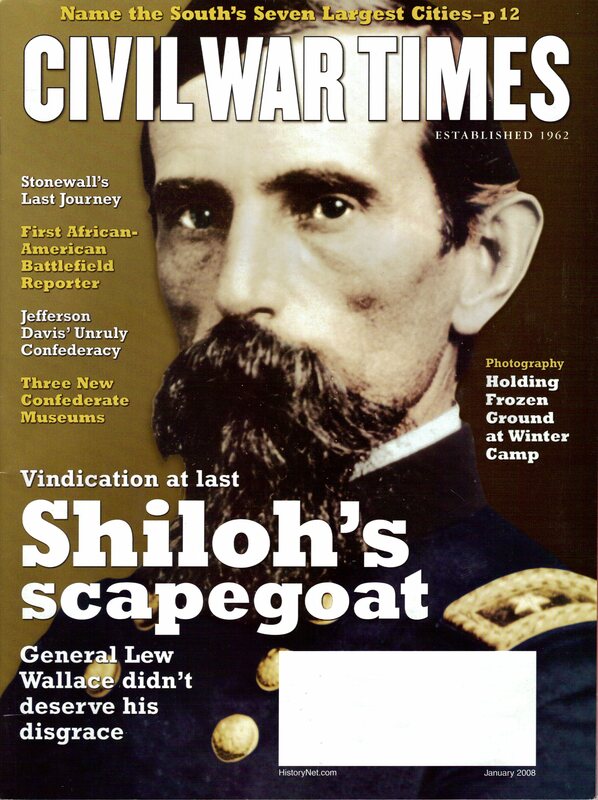 Union General Lew Wallace tried to convince anyone who would listen that he knew where he was and what he was doing at Shiloh in April 1862. John J. Carson’s memoir of the night his ambulance conveyed “Stonewall” Jackson to Guiney’s Station..
Modern-day embedded reporters have little on Thomas Morris Chester. A portfolio of the temporary shelters Union troops called home away from home. Jefferson Davis spent as much time fending off political attacks as he did Northern armies. Where was the worst prison camp? Gettysburg, three new museums and a quiz. A. Wilson Greene discusses wartime Petersburg. William T. McWilliams and Andrew Carrell McWilliamsRebel brothers-in-arms.